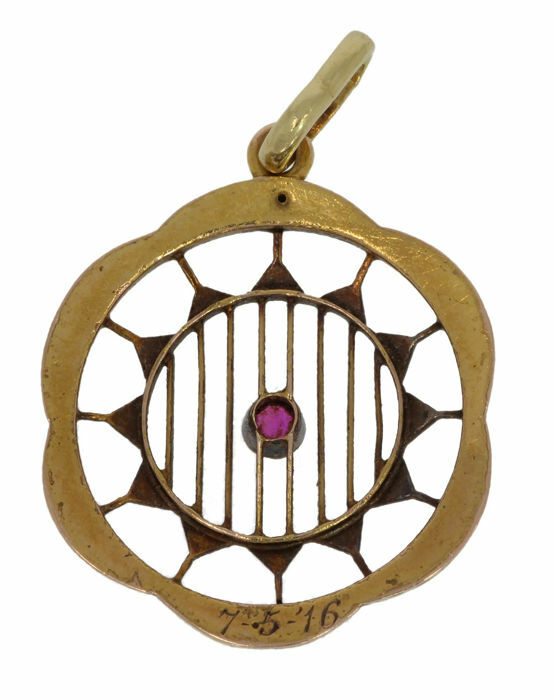 Yellow gold, 14 karat Jugendstil pendant set with ruby in a stylish setting. 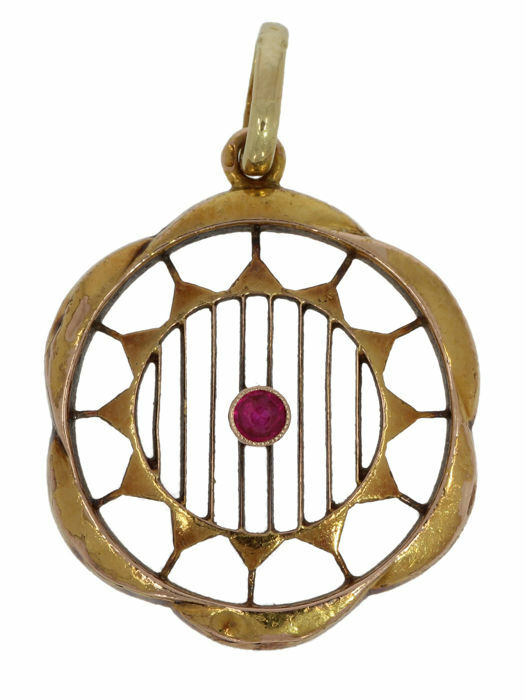 It is a very delicately made pendant, diameter 25 mm. 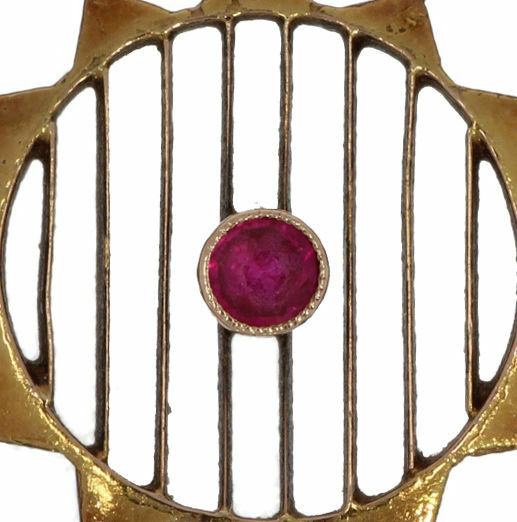 The item of jewellery is in beautiful, used condition (normal signs of wear that you would expect on an antique item of jewellery, small dent). 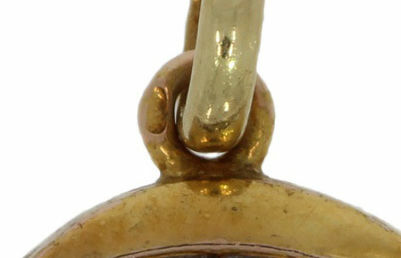 The weight is 2 grams, marked with the 585 gold hallmark in the bail. Photos are magnified to offer you the best possible impression of the beauty and quality of this jewel! Will be shipped well-packaged and by registered mail!